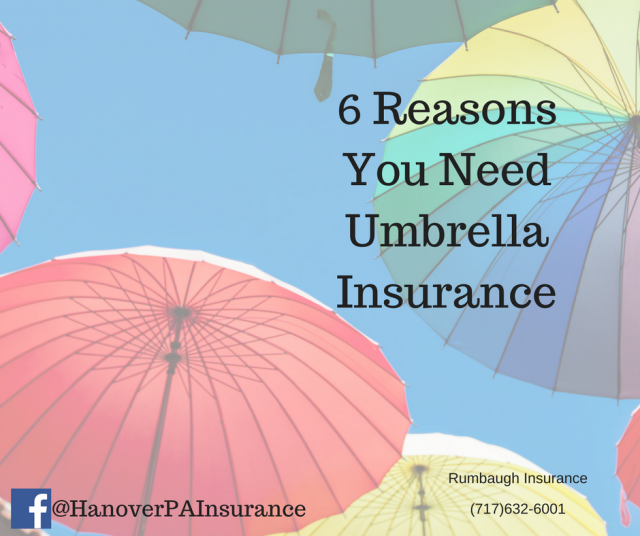 Why Do You Need Personal Umbrella Insurance? Sound familiar? It’s your first thought every time you talk to your agent about your insurance needs. You’re not alone. Chances are, if you have a really good insurance agent, they are doing their best to make sure your assets and family are fully protected. Personal Umbrella insurance is a policy that most individuals don’t have. In fact, most aren’t even aware it exists, but it is a valuable addition to your family’s financial plan. Personal Umbrella insurance is an extra layer of general liability insurance that “sits” overtop of your homeowners and auto insurance policies. Once those policies have paid their maximum limits, the umbrella insurance policy kicks in to pay any additional covered expenses. High-risk activities are on the rise. Individuals that participate in high-risk activities are more likely to be sued than those that don’t. High risk activities include motorcycle driving, dirt track racing, boating, and even water-skiing. The bigger the risk, the greater the chance something will go wrong. And the bigger the price tag will be to fix it. In addition to high-risk activities, there are high-risk lifestyle choices that increase your chances of being sued. Owning a dog (bite risk), having a teenage driver, or having a swimming pool or trampoline in your backyard open doors to lawsuits. Nobody is perfect and sometimes innocent decisions cause a lot of damage. That’s why they make insurance - to protect your finances and assets when things go horribly wrong. It doesn’t cost a ton. Since personal umbrella insurance policies don’t kick in until after your home or auto limits are exhausted, it rarely has to be used. It’s there for those unicorn moments ,which make it pretty cheap to add to your insurance portfolio. Prices are going up everywhere and that includes medical expenses, property damage repairs, and legal fees. The more prices increase, the less likely you can afford out-of-pocket expenses associated with major claims that fall under an umbrella insurance policy. “Normal” limits are no longer enough. Our society is lawsuit happy. There are stories of people and attorneys that spend their days looking for ways to file lawsuits and make their next big dollar. Buying personal umbrella insurance protects your home, finances, and family’s well-being from these types of individuals. There is a long list of insurance policies available today. Not all are right for your needs, but some are worth considering. Schedule an appointment with your insurance agent to review personal umbrella insurance, how it will protect you, and how much it costs to add it to your insurance package. If you are looking for an insurance agent you can trust, contact the Rumbaugh Insurance team today. We’ve been serving the Hanover, New Oxford, Spring Grove, and Gettysburg areas since 1972. Call or request an insurance quote online today.